What is a Liposuction ProcedureDr Nancy Van Laeken MD, FRCSC, Plastic Surgeon discusses What is a Liposuction Procedure. A plastic surgeon is a physician who specializes in reconstructive and cosmetic surgery, and can help patients who are considering liposuction. A cosmetic surgeon is a physician who specializes in reconstructive and cosmetic surgery, and can help patients considering liposuction. How Does a Scar Heal? 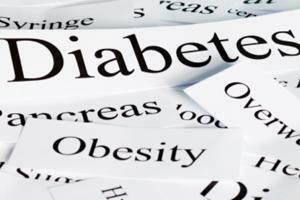 Is It Safe To Have Liposuction If You Are Diabetic? How Does a Scar From Liposuction Heal? 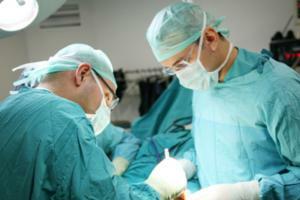 Conversation based on: What Is A Liposuction Procedure? " Jackie a 35-year-old goes to a plastic surgeon's for liposuction "
The case study mentions Jackie's diet is well controlled, though I'd be interested to know if she has seen a dietitian or tried to make any adjustments in her diet. Sometimes it takes some 'unexpected' variation in the diet/exercise program to see changes in body composition - the body is well known for adapting to what it is put through (diet, exercise etc) to maintain a weight. Reply to: What Is A Liposuction Procedure? " Jackie a 35-year-old goes to a plastic surgeon's for liposuction "
Are you put under general anesthetic for liposuction ? Liposuction can be done under local or general anesthetic - obviously there are greater risks with general anesthetic. Discussing your questions and concerns with your plastic surgeon would be the best way to understand the procedure and determine the best anesthetic options for you. You see a lot of ads for body contouring procedures such as laser therapy on television. How do they compare to liposuction ? How extensive is the liposuction procedure? What is the recovery period? 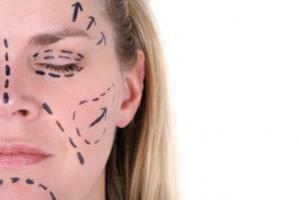 What is the cost fora liposuction procedure ? Prior to the surgery is there consultation to ensure this is the best route for the individual undergoing the treatment ? As an adult that is aware of the risks and benefits of the procedure I fully support Jackie's decision to go through with the surgery. I think thay further psychological counselling should be offered before and after the procedure to help Jackie develop realistic expectations of the surgery and further explore the reasons she feels the surgery is nesissary. My worry with people who undergo surgery to feel better about their bodies is that there will always be something else that they are not satisfied with and something that they will want 'fixed'. That's a good point. It does sound like she is using liposuction only in areas that are very hard to tone and work at. But if you don't continue to eat properly and exercise than the problem will return. I noticed the mention that the skin will re-drape after liposuction, does this mean that only fatty excess is removed and not skin? How can you prevent re-draping of the skin after the procedure ? What is the process for "debulking" ? How long will Jackie need to recover from liposuction? During the recovery process is there anything Jackie needs to do to ensure there is limited scar and reduced risk of infection ? @kimberley, liposuction has come a long way and sounds like a great option when there are areas of the body that are resistant to diet and exercise.